You can't read it but this article by Benjiman Preiss, Emerald Hill Times June 2010, highlights that the Management Plan addresses both the environmental and safety issues for the Reserve. 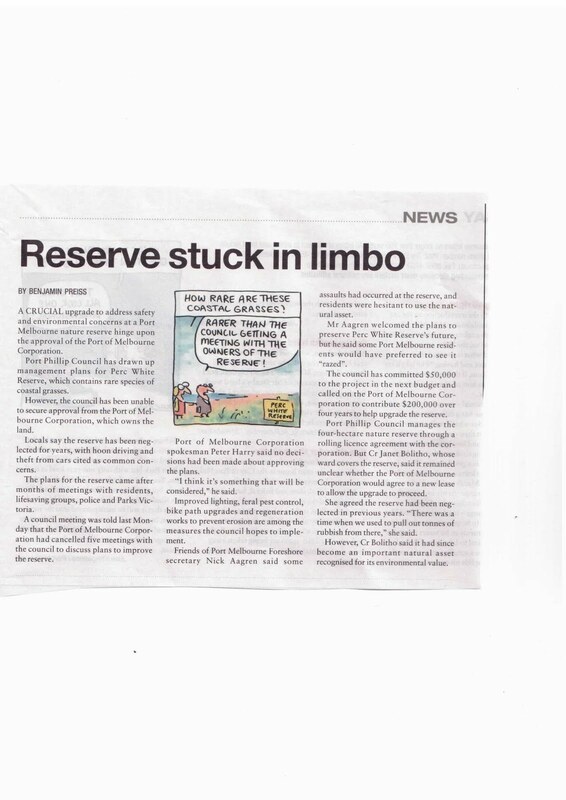 These issues were raised in the reference group and community consultation conducted earlier this year by the council to gain professional and community insight into the issues surrounding the reserve. The article also points out that the land owners, Port of Melbourne Corp are yet to adopt the plan or announce whether they will provide funding for the recommended upgrades.